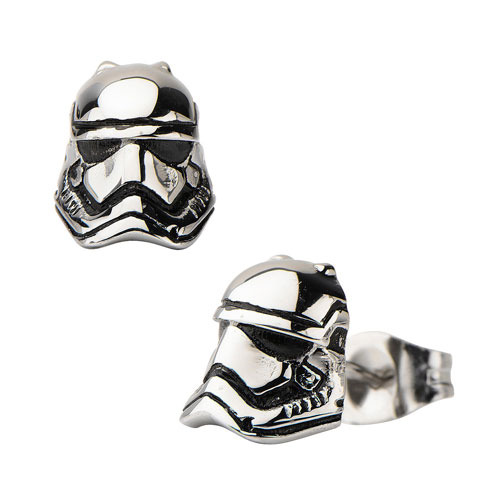 Show your love for Star Wars: Episode VII - The Force Awakens with the Star Wars: Episode VII - The Force Awakens Stormtrooper 3D Cast Stainless Steel Earrings. These beautiful earrings are made of stainless steel. Get the Star Wars lover in your life this awesome piece of jewelry! Earrings each measure 1/4-inch tall.